For my age, buffet is no longer my thing. 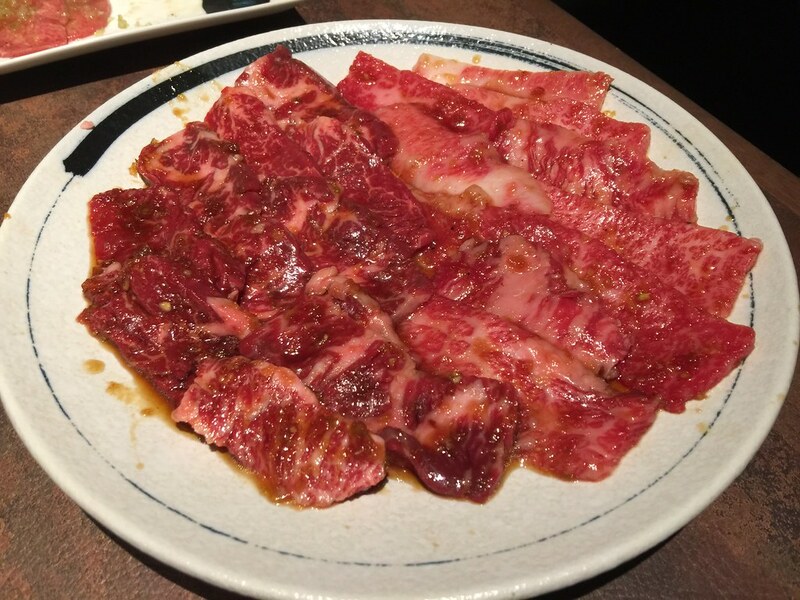 However when I heard of Yakiniku Heijoen that serves unlimited wagyu beef, I have been wanting to visit the place which is known to serve good quality beef for the BBQ buffet. 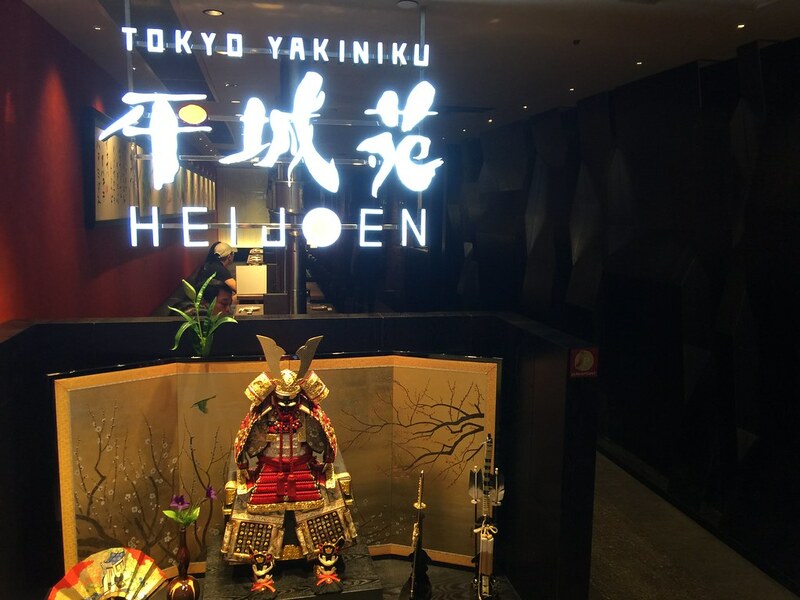 Yakiniku Heijoen is established in 1976 in Japan, and it has over 24 outlets in Tokyo alone. Currently it has 2 outlets in Singapore, one at Wisma Japan Food Town and the other at 100AM Itadakimasu by PARCO. If you are going for the All You Can Eat Buffet, basically there are 3 pricing - Beef ($35.90/pax - 35 items, 70min), Rich ($48.90/pax - 46 items, 90min) and Premium - ($59.90/pax - 56 items, 90min). I decided to go for the Premium which has more items. Do not that there is a time limit for the buffet. As it is my first time dining at the restaurant, I asked the staff for recommendation. 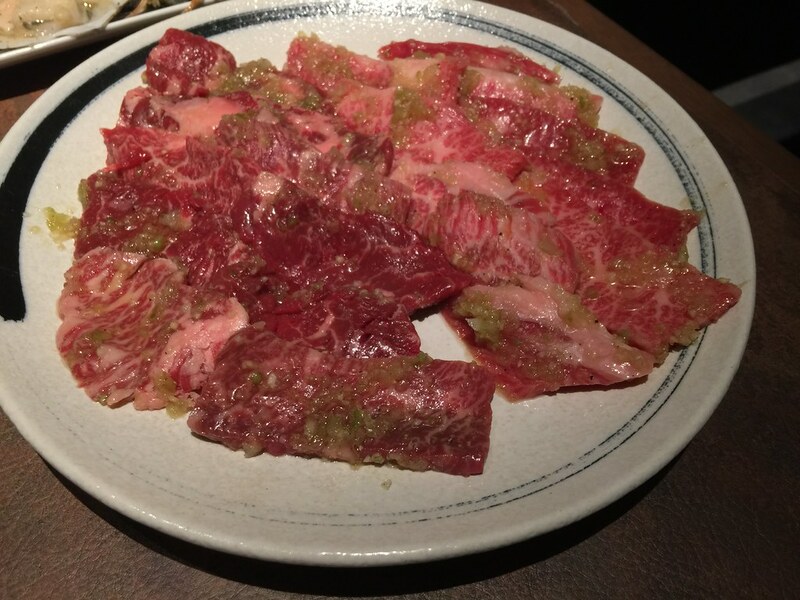 She is nice and helpful, suggested we tried the four different cuts and marination of the wagyu beef. 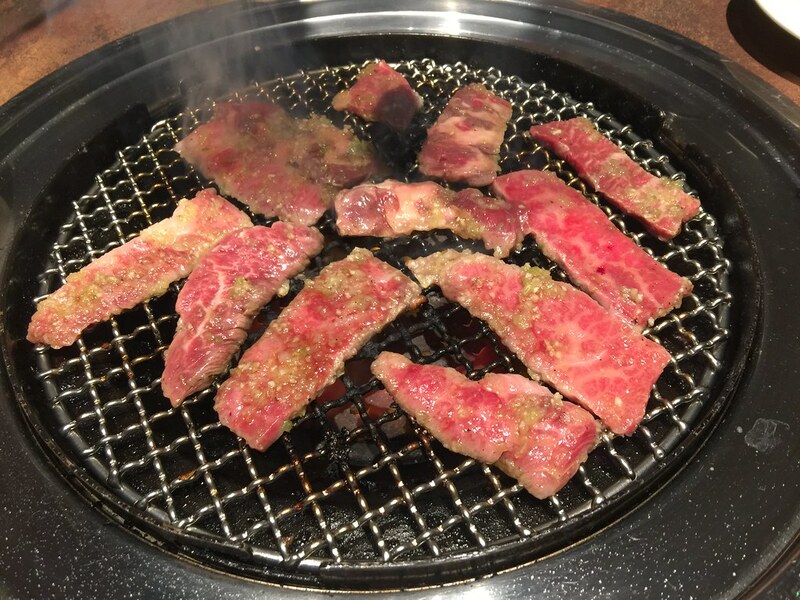 Hence we ordered the Japanese Wagyu Kalbi and Harami in Sweet BBQ Sauce and Japanese Wagyu Kalbi and Harami in Garlic Salt. I prefer the harami cut more for its richer flavour with the garlic salt marination. The sweet bbq sauce is slightly too sweet for me, masking the natural flavour of the beef. 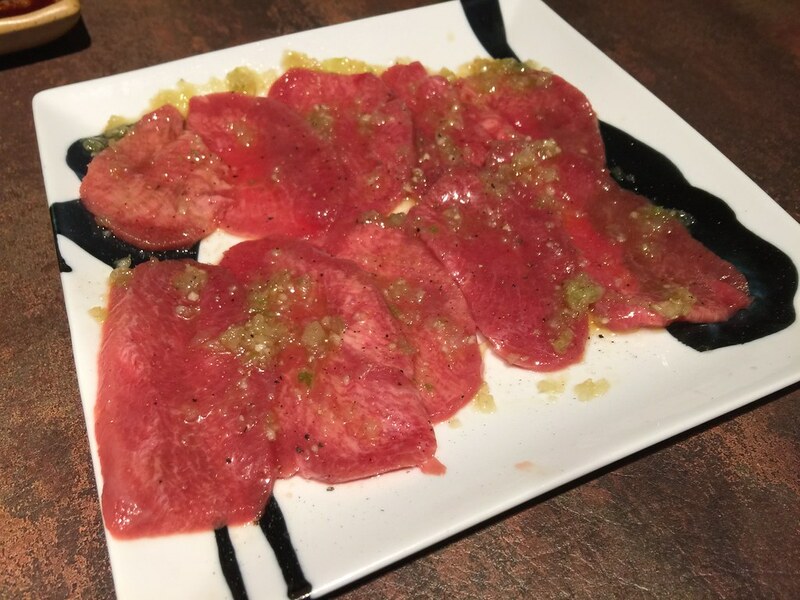 If you are adventurous, you can try the Beef Tongue in Garlic Salt. It is not as fatty as the kalbi or harami cuts but it has an enjoyable crunchy texture once cooked. 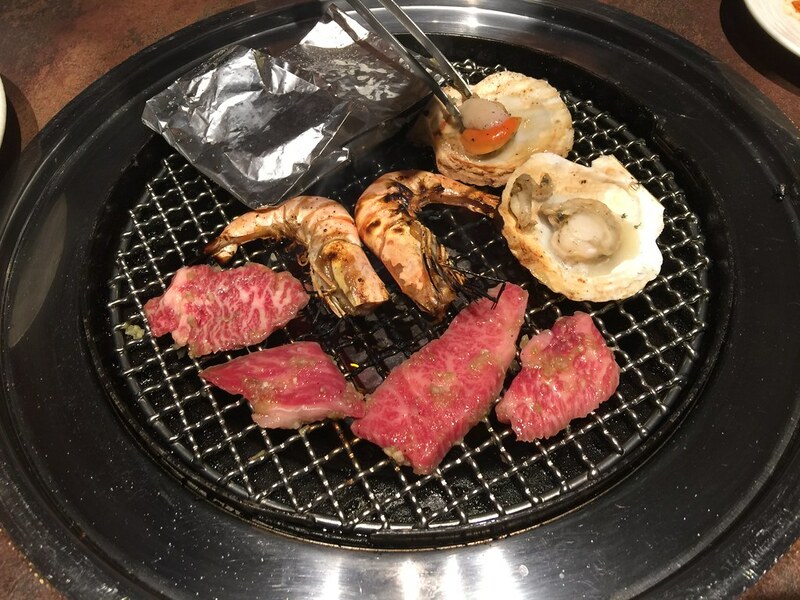 Besides the wagyu beef, there are many more items on the menu. 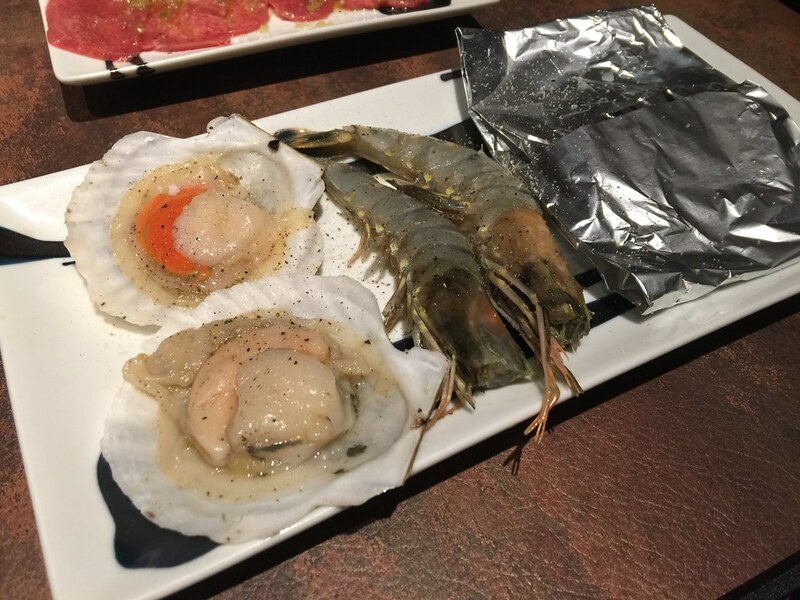 For the seafood, I had the scallop, prawn, mackerel and squid. 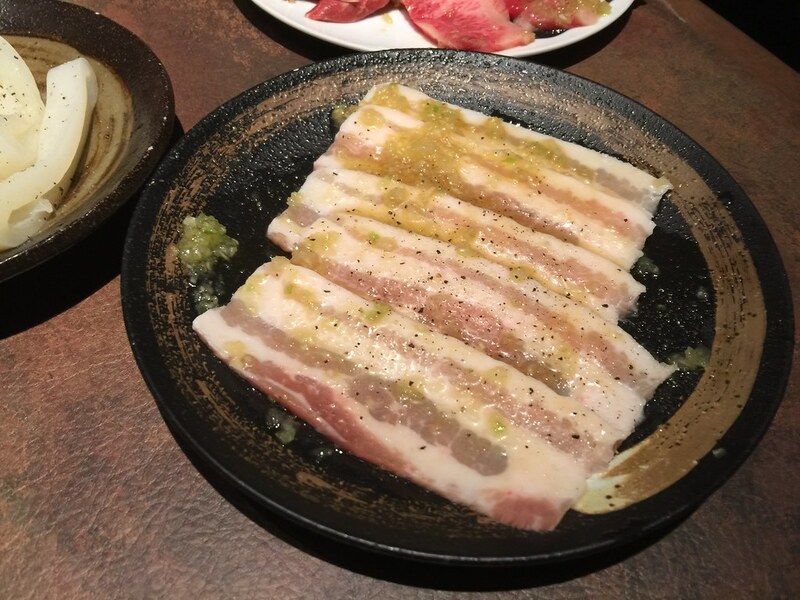 On top of the different beef selections available on the menu, there are other meat selections such as Pork and Chicken. If you are a carnivorous, you can eat to your fill. It can be quite boring if the bbq buffet is still all about meat. 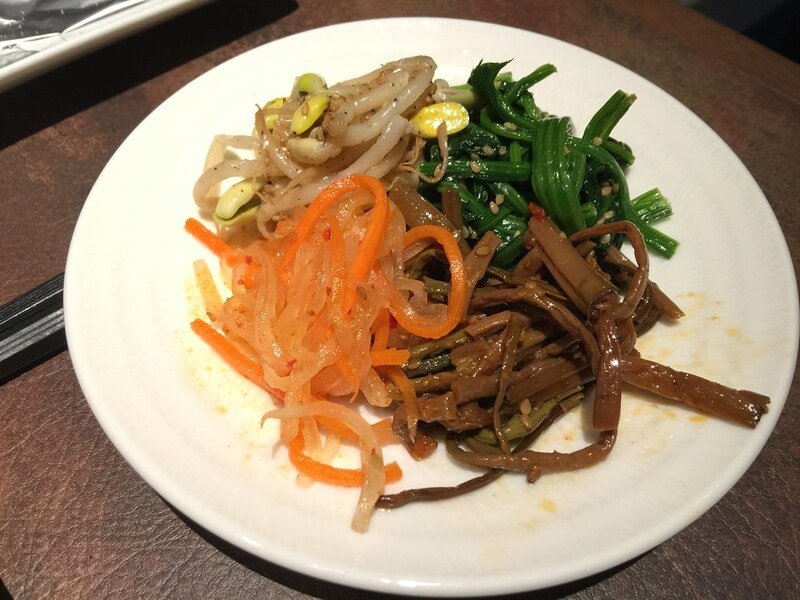 Lucky it offers other side dishes such as beansprouts, spinach, zenmai, radish and kimchi. Actually you can order a plate of lettuce, have it together with the grilled meats. There are even soups on the menu. 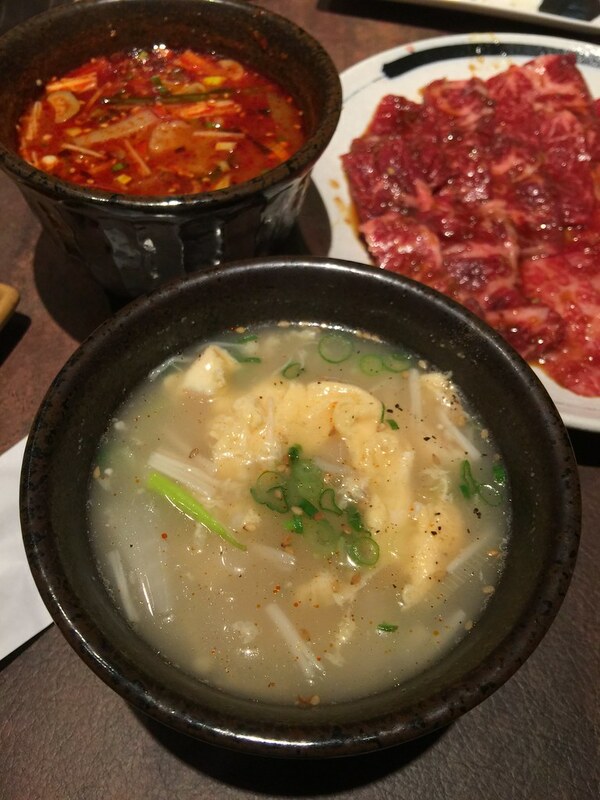 I tried both the Egg Soup and Akaoni Spicy Soup. The Egg Soup is light, flavourful and comforting. 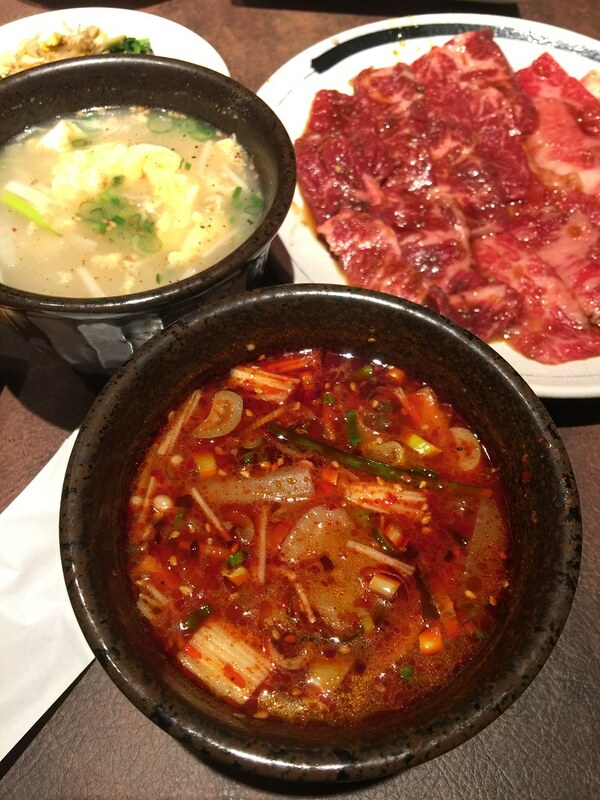 The Akaoni Spicy Soup is a beef stock base soup which is packed with a spicy robustness, whetting up the appetite. If you are a big eater and you love our meat, I really think the buffet is worth it. The quality of the meat served for the buffet is not the top graded one but it is still quality premium cuts. A little small tip here, just whack the wagyu beef and don't get distracted by the other items on the menu.